Curling up in sweatpants and a giant hoodie from November till March can be tempting—particularly if you live in a part of the country where the temperature is already pushing freezing. Unfortunately, life doesn’t always permit such indulgences. 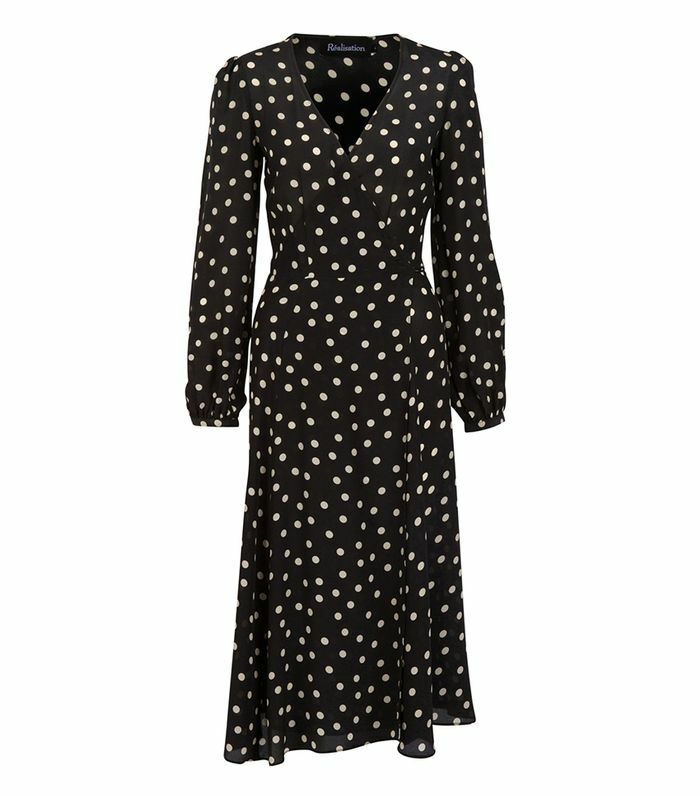 It does, however, offer some relief in the form of easy winter dresses that you can throw on over 100-denier tights or thermal leggings and brave the cold with dignity (or wear alone with a pair of sneakers, if you happen to still be enjoying weather in the balmy 60s). Long sleeves are, of course, a winter staple, but sleeveless styles in seasonal fabrics like velvet and jacquard also fit the bill, especially if you layer a black turtleneck underneath. Relaxed silhouettes, rich jewel tones, and super-soft knits likewise make a decent case for actually leaving the house. Below, shop 18 winter dresses we're currently coveting. Instagram’s favorite dress comes in a midi length too. Try your favorite jeans under this dress for a layered look. Add a little pop of color to your winter wardrobe. You can't go wrong with a classic knit dress. Just a touch of ruffle. A sweet wrap dress you’ll never want to take off. Stand out in this unique dress. Every winter closet needs a good sweaterdress. Dress this up or down with tights and heels or a pair of black ankle boots. How could you resist a dress that's as comfortable as your favorite robe? This post was originally published at an earlier date and has since been updated. Up next: the fashion mistakes we're giving up in 2019.